O2 has announced that it will not be selling the Sony Ericsson Xperia Play from 1 April, the handset's official release date. The oxygenated network has decided to delay the release due to software bugs causing issues with the Xperia Play's performance. In a blog post announcing the delay, Stuart Hibberd, head of O2's testing team, wrote. "We've been testing the phone non-stop for weeks and have found some bugs in the software that, if they're not fixed, means customers won't have a great experience." He continued, "We've been working with Sony Ericsson to get these bugs ironed out, but haven't been able to get them fixed in time for us to be able to launch the phone on April 1st as we originally planned." 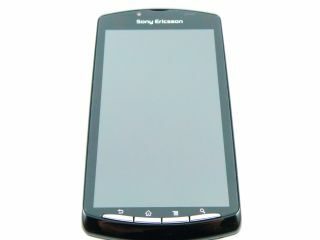 The Sony Ericsson Xperia Play is the first PlayStation-certified device and comes pre-loaded with six games when you buy it. The handset has a slide-out game controller panel and full touchscreen and runs Android Gingerbread. O2 customers may have a longer wait on their hands for the Sony Ericsson Xperia Play, but they can (eventually) get the O2-exclusive white variant of the handset. Some white phones are worth waiting for – just ask white iPhone 4 fans.